Ever since Darryl Hannah graced our screens as a love sick mermaid in the hit 80’s movie ‘Splash’ there’s been a little part of every woman that wishes they could turn into a mythical sea creature. Fast forward to now, and not much has changed apart from the fact that you may just want to indulge in your inner mermaid and ditch the one true love! Take one step closer to your mermaid fantasy with Blossom Yoga Wear’s newest addition to their already eclectic range. 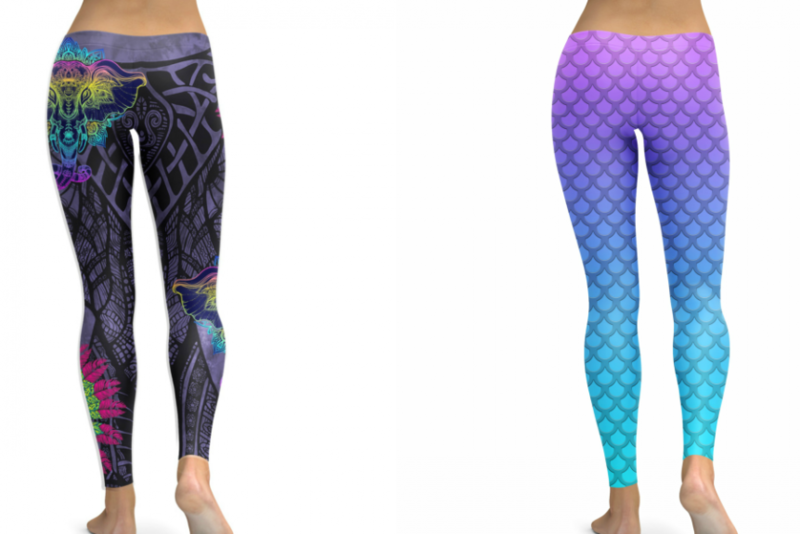 The new ‘Mer-mazing’ leggings will make you feel like a sea creature adding grace and fluidity to your every movement, not to mention a beautiful facial glow! Showcasing stunning sea colours of bright aqua-marine, vibrant blue and flamboyant purple, these are a must have if you are ready to say good bye to winter and dive into the warm season. Known to be the largest land mammals on the planet, Elephants have long fascinated us with their majestic grace and powerful presence. Revered as symbols of power, strength and even good luck, they remind us of the importance of being grounded and steady, surrounding ourselves with a supportive community, but also to be playful and have fun. Embody the qualities of these incredible creatures with Blossom yoga Wear’s newest ‘Elephantastic’ print leggings. Showcasing splashes of vibrant psychedelic elephant prints set against an elegant darker base colour, these leggings are sure to make you stand out from the crowd for all the right reasons! Made from high-performance quality technical fabric the leggings are perfect for yoga, pilates, general activewear, everyday leggings or deep sea diving! Born out of a desire to create fashionable, quality yoga wear at affordable prices, Blossom Yoga Wear is sure to get you noticed both on and off the mat.